His Holiness, Hazrat Mirza Masroor Ahmad, the World Head of the Ahmadiyya Muslim Community, has urged governments to implement sensible and fair policies that keep in mind the rights and requirements of citizens and migrants alike. 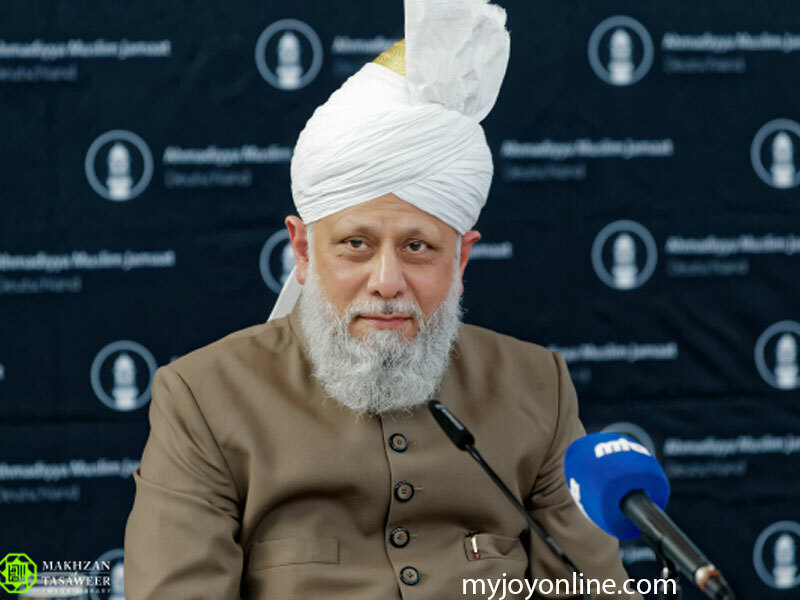 A statement issued in Accra quoted His Holiness, who is also the Fifth Khalifa as delivering an address on the second day of the 43rd Annual Convention (Jalsa Salana) of the Ahmadiyya Muslim Community in Germany about the world’s immigration crisis. He said society should not shy away from issues that were leading to divisions but should seek to tackle root causes that were underpinning such tensions. The Spiritual Leader said wherever there was mass immigration, the authorities should ensure that the rights of the indigenous people were not affected, indicating that immigrants should seek to enter employment as soon as possible. “Islam considers such behaviour as evil and has mandated exceptionally strong punishments for those guilty of such immoral and reprehensible crimes,” he added. On security concerns related to mass immigration, the Ahmadi Leader said such issues should be directly confronted and debated rationally so that solutions alleviating the fears of existing citizens were addressed. He said refugees should consider themselves “indebted” to their host nations and its people and the way to repay the favour was that “they should seek to contribute to the society as soon as possible”, even if the only job they could get was basic labour work. He said this was something, he had warned about in the past that each case should be carefully analysed to ensure that extremists or criminals posing as refugees were not allowed to enter. He said the safety of the citizens of a country was a ‘paramount objective’ of a government and advised that where there was any suspicion about an immigrant, authorities should monitor them until they were satisfied that they no longer posed a threat.